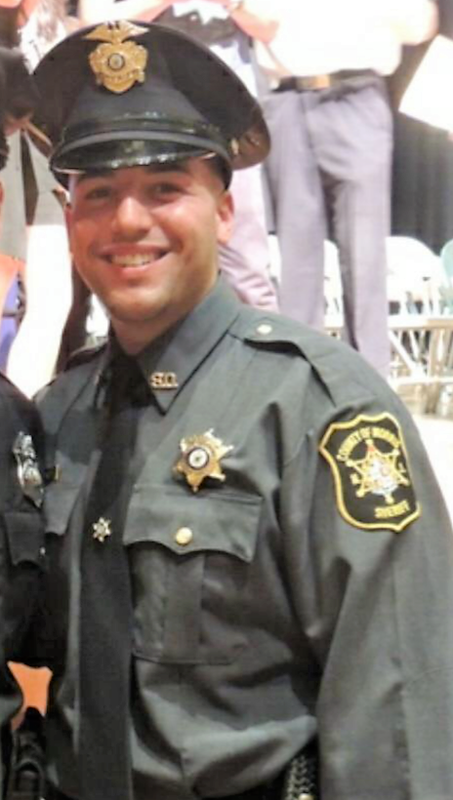 The Italian American Police Society of NJ is proud to announce the election of Officer Nick Monaco of the Morris County Sheriff's Office to its Executive Board. Officer Nicolas Monaco Began his career with the Morris County Sheriff’s Office/Bureau of Corrections in March of 2010, at the age of 20. Nick began working in the Intake/Processing Unit in 2011, after graduating from the Passaic County Police Academy. He was awarded the Central Control Center position in 2014 and is currently still assigned to this position, where responsibilities include being familiar with the entire operations of the Correctional Facility. Nick became a member of the IAPSNJ in 2013 and is very excited to serve on the Executive Board. From 2014-2016, he served as secretary for his local PBA #298, and has been serving as 1st Vice President from 2016 to present day. In 2016, Nick was selected and completed the Firearms Instructor Course. He is PTC certified to instruct firearms at NJ Police and Corrections Academies, after completing the Methods of Instruction Course. Nick was selected in 2017 as an Advisor for the Morris County Sheriff’s Officer Explorer Post 140. In 2018, he was certified as a Law Enforcement Active Shooter Emergency Response Trainer, as well as a Safariland Tactical Handcuffing Instructor. Married to fellow IAPSNJ member and Morris County Sheriff Officer Ashley Monaco, they gave birth to their first child, a beautiful baby girl Adriana Marie on November 24, 2018. Nick is a graduate of William Paterson University, where he received a Bachelor’s Degree in Sociology, graduating as a member of Alpha Kappa Delta: International Sociology Honor Society and recipient of the National Honor Society & NJ Star Scholarships. The Italian American Police Society of NJ is honored to have Nick serve in a two-year term on its Executive Board.